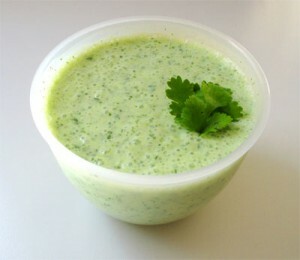 Dahi Ki Chutney recipe by Farhat at DesiRecipes.com. 1 cup corriander leaves chopped. 1 tsp. grated ginger . Grind all the ingredients except yogurt to a fine paste, mix with yogurt and chill.